Home » Awesome Stuff To Do » Vast Carpets Of Lawn Cherries! Vast Carpets Of Lawn Cherries! 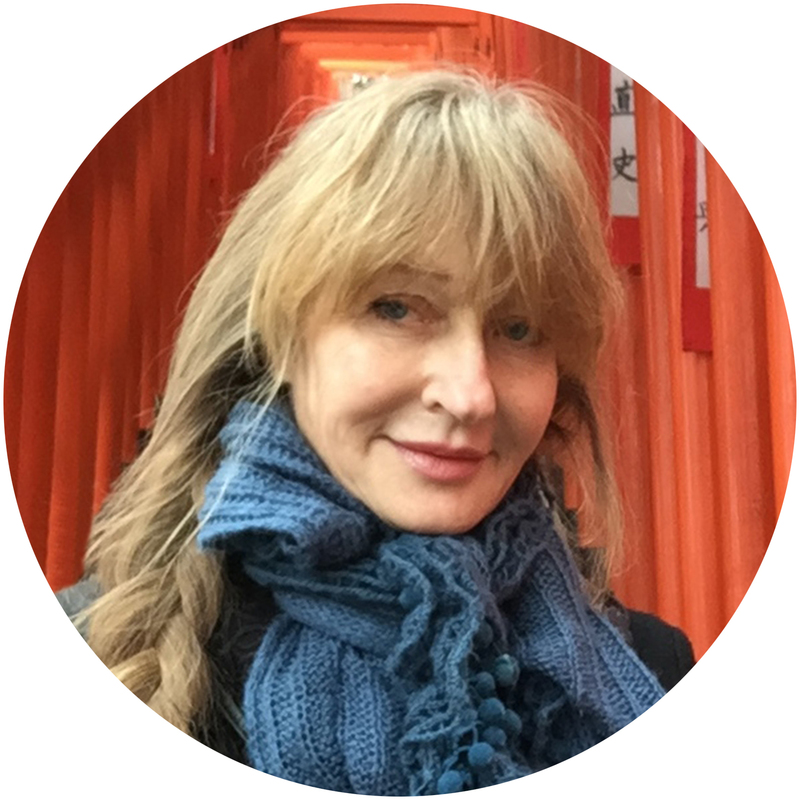 And the best part for Tokyo dwellers is that this year I discovered a place to see them that is a LOT closer than the more famous places (which involve daunting & expensive train schleps). Hitsujiyama in Chichibu is only a ¥1600 train ride from Ikebukuro Station! 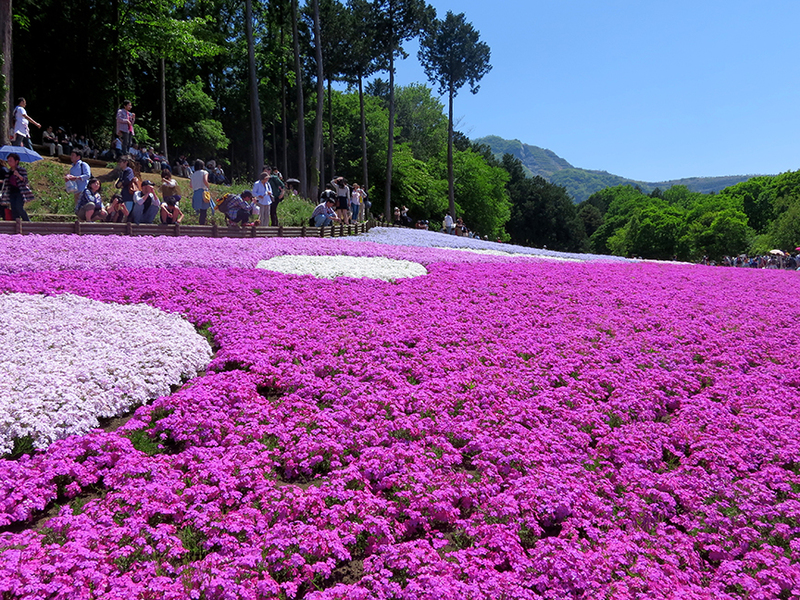 The hills are carved up into slices of pink and white and blue. How do they manage to make it bloom so perfectly, with no holes in the patterns? Of course there’s a heart-shaped pinkness, for the mandatory couples selfies. And here’s an overview of the park, so you can get an idea of how big it is. I was there during the very tail end of the season, and it was still amazing. 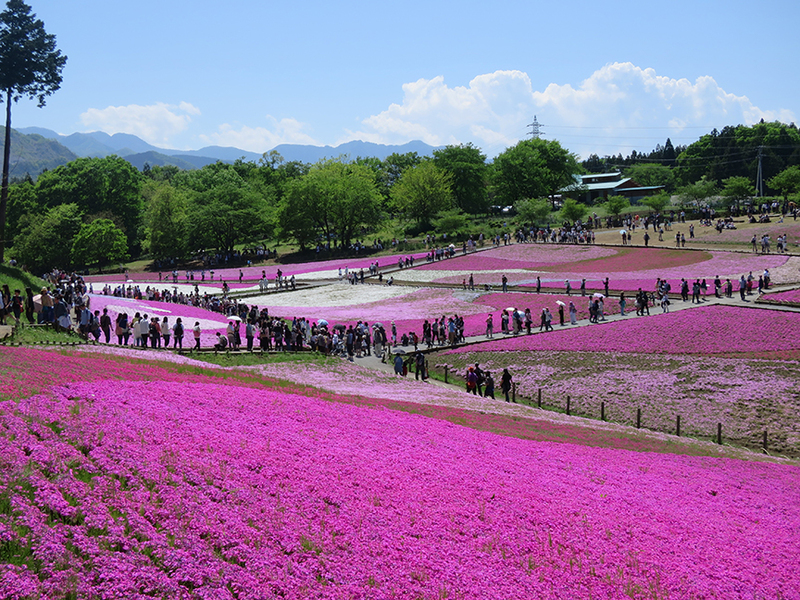 You can imagine how great it was when ALL those fields were in bloom! 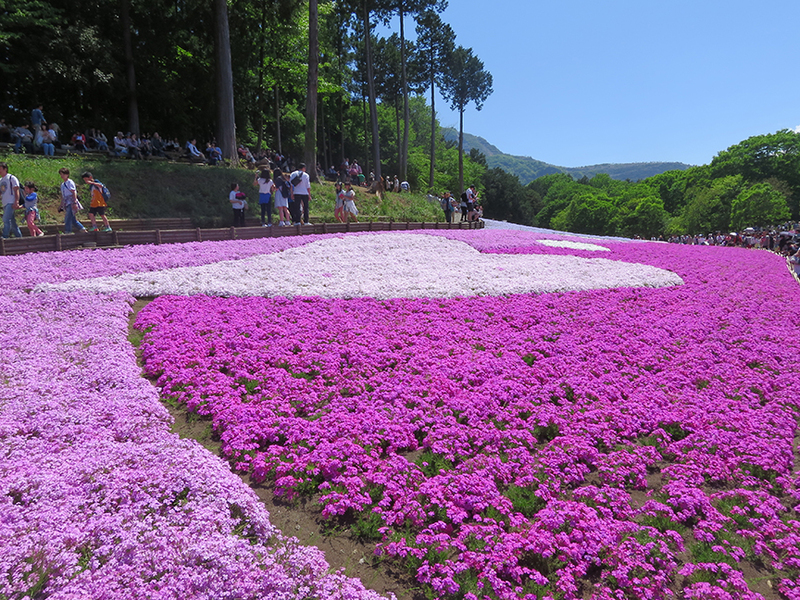 Shibazakura bloom during the entire month of May. 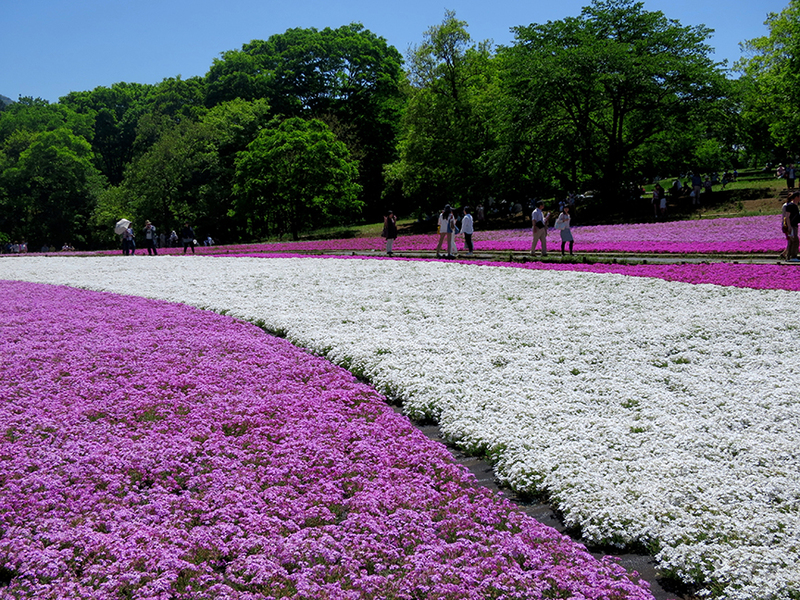 If you want to feast your eyes on their vast pinkness, a map is on my website, The Tokyo Guide I Wish I’d Had. I took the train (98 minutes from Ikebukuro to Chichibu Station) then walked to the park from there (it takes about 15 minutes). 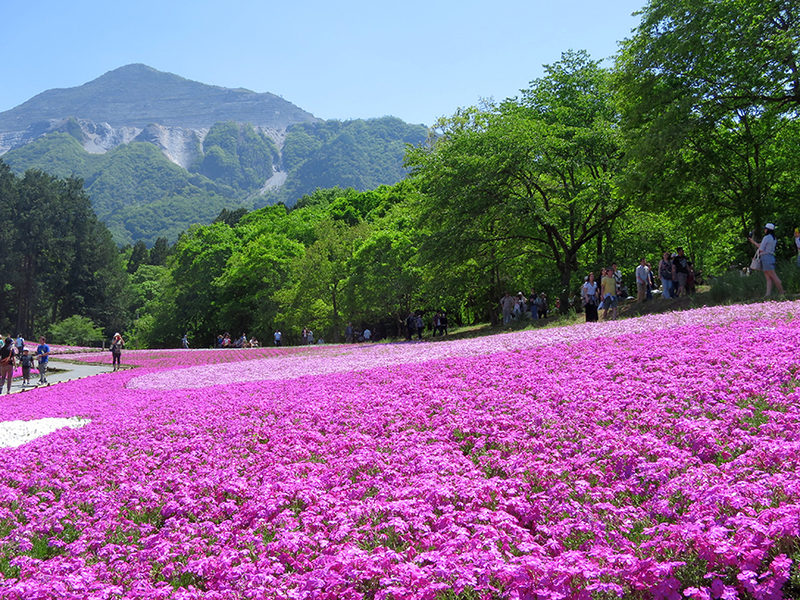 Admission to the shibazakura fields during the blooming season is ¥300.